EU and EEA nationals do not need employees' residence permits. Non-EU and non-EEA nationals need either an employee's residence permit or an ordinary residence permit in order to work in Finland. Usually, an employee's residence permit is needed. The obtaining of the permit is a two-step process, which includes an opinion from the employment office before the Finnish Immigration Service's final decision. If an employee performs, for example, expert duties in the middle or top management of the company or duties requiring special expertise, an employee needs only an ordinary residence permit. As a result, the employment office's opinion is not required. The application must usually be submitted to the Finnish consulate or embassy in the applicant's home country before arrival in Finland. The first permit is generally granted for one year, but for no longer than the duration of the employment. 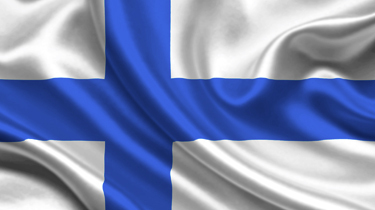 Renewal of a residence permit may be obtained at the local police station in Finland. The social security tax is imposed on employers, employees and self-employed individuals. For employees and self-employed individuals in 2013, the social security contributions consist of a Medicare contribution and a per diem contribution. The per diem contribution is 0.74% of salary income (excluding certain items, such as employee stock options), and the Medicare contribution is 1.3% of municipal taxable income. Pensioners pay an increased Medicare contribution at a rate of 1.47%. In addition, for employees, a 5.15% compulsory pension insurance premium and a 0.6% unemployment insurance premium apply to earned income subject to withholding tax. The compulsory pension insurance premium is 6.5% for employees over 53 years of age. For employers, social security taxes are levied as a percentage of gross wages and salaries subject to withholding tax. No ceiling applies to the amount of wages subject to social security taxes. The average total percentage of all contributions for private-sector employers is approximately 22.78%, which consists of 2.04% for sickness premiums (employer's social security premium), 0.07% for group life insurance premiums, pension premiums that average 17.35%, 1% for average accident insurance premiums and 0.80% for unemployment insurance premiums (3.2% for salaries exceeding €1,999,500).